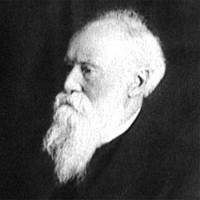 American Nature essayist and poet, John Burroughs, lived between 1837 and 1921. In his most famous poem, Waiting, Burroughs shares with us the profound truths of patience, karma-the Great Law of Sowing and Reaping, the predestined nature of life, as well as imparting a strong sense of personal peace and serenity attained from accepting life's 'eternal ways'. I wait with joy the coming years.